Persons interested in attending the 2014 ITS Biennial Conference in Rio de Janeiro this fall are reminded that the deadline for early-bird registration is August 31, 2014. Registration fees will rise by U.S. $50 for students and $100 for all other individuals starting on September 1. Accordingly, anyone planning to attend the 2014 ITS Biennial is encouraged to register online at http://itsrio2014.com/registration.html prior to the August 31 deadline. All Conference attendees are further reminded that the registration fee for all ITS Biennial Conferences includes a two-year membership in ITS valued at $250. Each membership comes with a two-year subscription to the ITS journal, Telecommunications Policy, which is published 11 times a year by Elsevier. Other benefits of ITS membership are described in more detail in a separate article in the current (August 2014) issue of Interconnect. The theme of the 20th ITS Biennial is The Net and the Internet: Emerging Markets and Policies. The Conference will take place November 30 – December 3, 2014 and is being hosted by TIM Brasil. The academic partner for this Conference is the Pontifical Catholic University of Rio de Janeiro (PUC-Rio). Conference organizers are presently developing the preliminary Conference programme based on all abstracts and papers that were accepted by the Scientific Committee following the June 25 submission deadline. The programme will include a number of plenary sessions featuring leading experts and authorities from various countries. 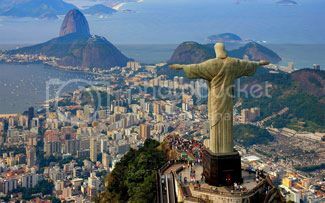 Organizers expect to post the preliminary programme on the Conference web site at www.itsrio2014.com by early September. Notification of same will also be provided via the ITS-L Listserv. A fourth plenary session will consist of a Roundtable on the Regulatory Landscape in Latin America featuring representatives of regulatory authorities. The final plenary session will feature a panel discussion involving all of the above invited guest speakers, as well as Andrea Renda (LUISS), Sergio Colcher (PUC), Erik Bohlin (ITS) and representatives of Latin American regulatory agencies (TBD). The theme of the final plenary session will be The Future of Research and Policy in the Electronic Communications Sector. The keynote address at the Conference will be delivered by a senior representative of the Government of Brazil (TBD). Opening remarks will be delivered by Mario Girasole (TIM Brasil) and Erik Bohlin (ITS). The Conference will close with brief farewell remarks from Stephen Schmidt (ITS) and a representative of TIM Brasil (TBD). Given the timeliness and overall importance of the subjects being addressed, together with the high calibre of papers and presentations to be delivered, if you haven’t done so already, please register online now at http://itsrio2014.com/registration.html. The early-bird registration discount expires after August 31. This is a reminder that in mid-June of this year ITS issued the Call for Papers for the first-ever Africa Regional ITS Conference. The Conference will be held in Accra, Ghana, May 26-28, 2015. The venue for the Conference will be the Alisa Hotel in Accra (see, http://www.alisahotels.com/). 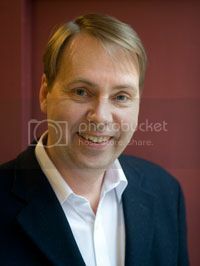 The principal organizer of this Conference is ITS Board member Professor Anders Henten (Center for Communication, Media and Information technologies (CMI), Aalborg University). The Conference will be hosted by Ghana Technology University College (GTUC) in cooperation with CMI. Another trend which has already attracted much attention is the development of mobile applications – especially mobile money. This development casts a light on many different social areas where mobile communications could contribute to better service provision, e.g., learning, health, governance, etc. The Conference will pay special attention to such developments and their potential. The Conference will also focus on the use of private applications via social networks and of user-generated content in general. In the policy area, the focus will be on the broader information society and on digital governance policies, as well as more specific regulatory developments whether in telecommunications or broadcasting. The Conference also welcomes papers on convergence between IT, telecommunications, and the media in African countries. This means that papers from the telecommunications field as well as from Information Systems and media researchers will be equally welcome. Interested participants should also note that there will be awards for the best paper and the best student paper. Initial plans also include holding an ITS Ph.D. Seminar on May 29, 2015 immediately following the Conference along the lines of the many successful Ph.D. Seminars that have been organized in conjunction with earlier ITS Regional and Biennial Conferences in Copenhagen, Budapest, Vienna, Bangkok, Florence and Brussels. Further updates on the Africa Regional Conference and Ph.D. Seminar will be provided on the Conference web site, as well as on the ITS web site at www.itsworld.org and via the ITS-L Listserv as they become available. We are now at the mid-point of the 2014 ITS conference season. The 25th European Regional ITS Conference and 6th ITS Ph.D. Seminar convened successfully in Brussels this past June, while the 20th ITS Biennial Conference to be held in Rio de Janeiro late this fall is still several months away. Please see the update on preparations for the Rio Conference in the current (August 2014) issue of Interconnect. I would like to take this opportunity to sincerely thank iMinds for hosting the Brussels Conference and associated Ph.D. Seminar. The Conference was held at the historic and strikingly beautiful Royal Flemish Academy of Belgium. It was a superb venue to convene not only the 25th ITS European Regional Conference, but also to showcase the very best that ITS has been offering its members for the past quarter century: stimulating presentations; intellectual discourse at the highest levels; sessions focused on social and economic policy issues and initiatives of significant and immediate import; numerous networking opportunities with scholars, regulators and expert practitioners in the ICT field; and, of course, a delightful and welcoming array of enjoyable social events. Without question, all who participated in this event will long and fondly remember it. iMinds also provided invaluable support for the 6th ITS Ph.D. Seminar. Taken together, the six ITS Ph.D. Seminars that have been held since 2010 have allowed more than 50 Ph.D. students from nearly two-dozen countries to be mentored by, and receive expert advice and instruction from, prominent ICT scholars and practitioners from around the globe. Much of the success of the Conference and Ph.D. Seminar was directly attributable to the efforts of the Brussels-based organizing committee comprising Pieter Ballon, Sven Lindmark, Luciano Morganti and Sofie Verbrugge. Critical logistical support was also provided by Elias Van Dingenen. On behalf of our entire organization, I wish to extend to each of these individuals, and to iMinds as a whole, our sincerest and most heartfelt thanks for this excellent Conference and most successful Ph.D. Seminar. The personal attention to, and active engagement in, these events by the local organizers created a friendly and welcoming atmosphere, thoughtfully designed and stimulating programs, excellent plenary sessions, and interesting and rewarding social interaction. An equal measure of thanks and appreciation is also due the ITS Board members on the local organizing committee, Jason Whalley (Newcastle Business School – UK) and Brigitte Preissl (ZBW – Hamburg), for their leadership, support and invaluable assistance in programme preparation. On behalf of their colleagues and peers on the ITS Board, I extend to them our heartiest congratulations and deepest gratitude for a job singularly well done. Looking to next year and beyond, I am pleased to advise that the 26th ITS European Regional ITS Conference will be held June 25-27, 2015 in El Escorial, Spain (a UNESCO World Heritage Site) some 45 km northwest of Madrid. The local Organizing Committee consists of Claudio Feijoo, Jose Luis Gómez Barroso, Fernando Gallardo and Teodosio Perez Amaral. Present plans are to issue the Conference Call for Papers (CFP) in September 2014 via the ITS-L Listserv. The CFP will also be posted on the ITS web site and on the Conference website as soon as the latter has been completed. I am also very happy to inform you that proposals are now being developed for our 2016 Biennial Conference. A decision on the date and location of the next Biennial is expected prior to the end of this year. If all important details can be worked out in time, an announcement will be made prior to the close of the Rio Biennial. In that regard, I look forward to seeing as many of you as possible in Rio de Janeiro this fall and to engaging you in discussions on the issues and subjects of greatest interest and concern to the telecommunications and broader ICT industry. The International Telecommunications Society (ITS) is an association of professionals in the evolving communications sector, including telephony, computing, Internet, broadcasting, content (media) and related industries. Our goal is to provide a forum where people can meet to identify developing business and regulatory issues and share new findings, public policy ideas and research methodologies. We are an independent, non-aligned and not-for-profit organization with a worldwide network of nearly 400 members, from over 45 countries, from the academic, private sector and government communities. Our diverse membership base is a source of innovative ideas and solutions not likely to be developed in one discipline, one profession or one country. Our work focuses on the socioeconomic, technological, legal, regulatory, competitive, organizational, and ethical dimensions of public policy issues. We welcome new members who want to participate in this important work. There are many benefits of ITS membership including the opportunity to present, as well as to obtain access to, economic research and strategic policy papers at conferences, workshops or seminars hosted by ITS and to meet and interact with public policy decision-makers, corporate executives, students, academics and industry professionals at numerous ITS-sponsored events throughout the year. Membership benefits also include an annual subscription to the ITS membership journal, Telecommunications Policy, which is published 11 times a year, as well as access to the ITS-L Listserv, which is used to notify members of upcoming ITS events and of publication of each new issue of Interconnect, the official newsletter of ITS. All ITS members in good standing also receive a registration fee discount at all ITS-organized Regional Conferences. This benefit alone can offset the greater part of an ITS membership. Other individual membership benefits include discounts as announced for ITS publications, and occasional special discounts on ITS conference proceedings. ITS holds a number of outstanding conferences each year, and the past few years have been no exception. Our largest and most dynamic gatherings are our Biennial Conferences. The 19th and most recent ITS Biennial Conference was held in Bangkok (November 2012). The 2014 ITS Biennial Conference will be held in Rio de Janeiro, November 30 – December 3, 2014. See the Conference web site at www.itsrio2014.com, as well as the most recent update on this Conference included in this issue of Interconnect. Other cities which have hosted ITS Biennial conferences include Tokyo, Montreal, Beijing, Buenos Aires, Seoul, Berlin, Sydney, Stockholm, Venice, Boston and Seville, among others. ITS also organizes one or more regional conferences each year in various parts of the world. In the past two years, regional conferences have been held in Brussels, Belgium; Florence, Italy; Perth, Australia; and Vienna, Austria. Select conference papers are frequently published in Telecommunications Policy. Since 2010, ITS has also hosted six Ph.D. Seminars in conjunction with Biennial and major regional conferences. The objective of these Seminars is to allow leading academics, industry experts and researchers to share their knowledge and expertise with a select group of younger researchers in a highly focused learning environment. To date, over 50 Ph.D. students from some two-dozen countries have participated in these Seminars. Students selected as having authored the most innovative and thoughtful papers at these Seminars are encouraged to submit them for publication on a refereed basis in Telecommunications Policy. On the immediate horizon, and as is described in more detail in this issue of Interconnect, ITS conferences are planned for Rio de Janeiro, Brazil (Nov. 30-Dec. 3, 2014), Accra, Ghana (May 26-28, 2015), and El Escorial, Spain (June 25-27, 2015). Presently, proposals are also being considered for the 2016 ITS Biennial. Information on all upcoming ITS conferences is posted on the ITS web site at www.itsworld.org. In addition, periodic updates on future conferences, including announcements of Calls for Papers, are regularly sent to ITS members via the ITS-L Listserv distribution list. For further information about ITS please visit our website at www.itsworld.org. Please feel free to direct any questions to any member of the Board of Directors (see website for contact information) or to the ITS Secretariat at secretariat@itsworld.org. To join ITS, simply go to www.itsworld.org and click on “become a member”. The cost of an annual ITS membership is U.S. $125. Credit card payments (VISA and MasterCard) are accepted. Please consider becoming an ITS member today.